NEWJ22 li>Small -Shoulder: 13.5" | Bust: 34" | Length: 22.5" | Sleeve: 23"
Medium - Shoulder: 14.3in | Bust: 35" | Length: 23in | Sleeve: 23.5"
Large - Shoulder: 15.1in | Bust: 36" | Length: 23.5in | Sleeve: 24"
XL - Shoulder: 16.7" | Bust: 38" | Length: 24" | Sleeve: 24.5"
2XL - Shoulder: 18.3in | Bust: 40" | Length: 25in | Sleeve: 25"
3XL - Shoulder: 19.9in | Bust: 42" | Length: 26in | Sleeve: 25.5"
Small -Shoulder: 13.5" | Bust: 34" | Length: 22.5"
XL - Shoulder: 16.7" | Bust: 38" | Length: 24"
THIS JACKETS MAY RUN SMALL - PLEASE CHECK SIZING PICTURE AND Compare sizes visually. NEWJ22: Only NAVY / CAMEL / BROWN / RED those colors size are difference a little bit. Please allow 0.5-2 IN deviations due to manual measurement. Thanks for your understanding. 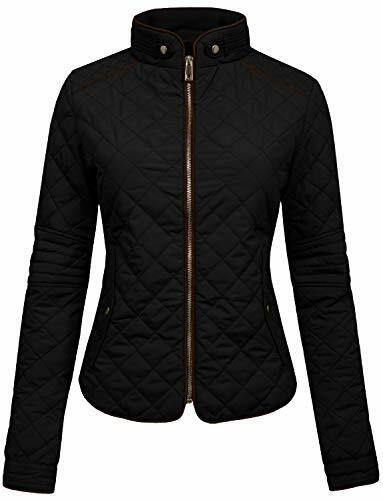 Fashionable women Jackets, you can match this jacket with jeans, leggings and skirts. Suitable for party, casual, work, date, working out, running, cocktail, night club, and homecoming etc. If you have any questions about this product by NE PEOPLE, contact us by completing and submitting the form below. If you are looking for a specif part number, please include it with your message.